The New York Knicks is partying ways with their team president | Circa News - Learn. Think. Do. "The New York Knicks will always hold a special place in my heart," Jackson said in a statement. "This team and this town launched my NBA career. I will forever be indebted to them. I am grateful to Mr. Dolan for giving me the opportunity to return here. I had hoped, of course, to bring another NBA championship to the Garden. As someone who treasures winning, I am deeply disappointed that we weren't able to do that. New York fans deserve nothing less. I wish them and the Knicks organization all the best -- today and always." 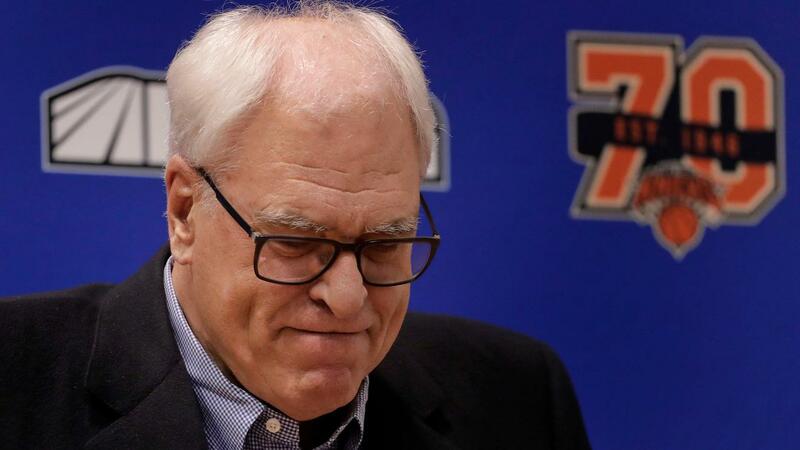 ORIGINAL STORY: The New York Knicks announced Wednesday that the franchise is parting ways with team president Phil Jackson. "After careful thought and consideration, we mutually agreed that the Knicks will be going in a different direction," said owner James Dolan. The Knicks went 80-166 during Jackson's three-year tenure and lost at least 50 games every season. The decision comes amid new tensions that arose this week when the franchise decided that they would not buy out Carmelo Anthony. ESPN reported that Jackson made it clear that he felt it was best for Anthony and the Knicks to disassociate themselves from one another, but the basketball star has refused to waive his no-trade clause. Anthony has two years and more than $54 million remaining on his deal. Jackson, a former Knicks player and Hall of Fame coach who won a total of 11 NBA titles with the Chicago Bulls and Los Angeles Lakers, joined the Knicks in 2014 on a five-year, $60 million contract. He has two years and $24 million remaining on the deal. Jackson has not officially commented on the decision. Some think this is a good decision.